And we'll do it the hard way! Have you wondered how websites work? The best way to understand it is to build one by yourself. In this article, we will go through the general procedure of web development and build a simple blog. If you only need a self-introduction page, go to about.me. If all you're interested in is the final product, Blogger or WordPress might all be a better choice. But if you are curious about what's behind the surface of the Internet, then this is the tutorial for you! Let's start from the simplest idea and we'll gradually add details to it. A web application must have two sides: the server and the client. The client sends requests to the server and the server responds with data. 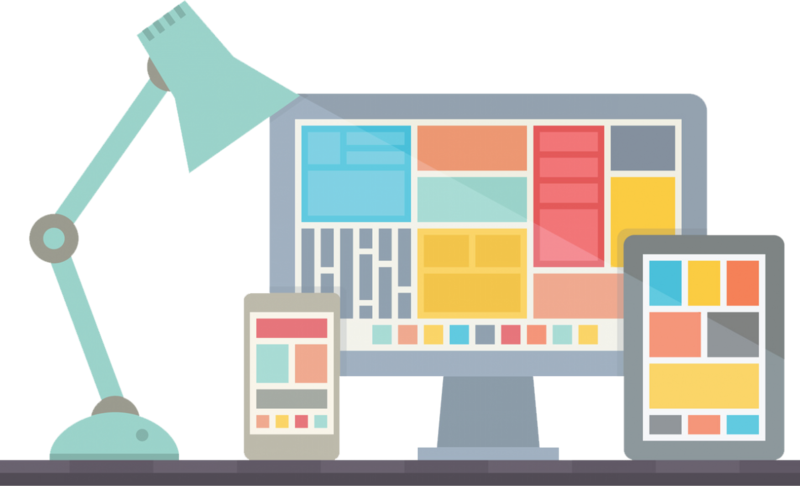 Since our goal is to develop a website, our clients will be browsers, and all we need to do is respond to the request with rendered webpages. Seemingly easy? That's right. The basic concept of web is that easy. However, to actually implement it, we still have much work to do. Each HTTP request or response has a head, and some of them has a body. Head contains information about the metadata, such as method, url and status code; body contains the data, like webpage or form data. 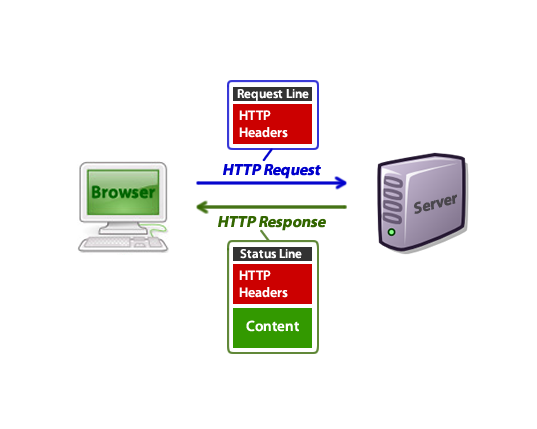 You can conveniently get to know the general idea of HTTP on Wikipedia. So we can expand our structure a little bit: our server receives HTTP requests, and returns corresponding data. Next, we'll set up our server. Our website must be set up on a server, physical or virtual. For personal purpose, a virtual private server(VPS) is enough. There're many VPS providers, like Linode and DigitalOcean, and I chose DigitalOcean to build this site. Even the cheapest plan would be more than sufficient for our personal site. When it comes to choosing Linux distribution, since I don't want to provoke a war here, you're free to choose your favorite version, despite the fact that Debian is undoubtedly the best choice. After some clicks, your server should be ready. Set up SSH keys and now we can connect to our server with SSH. If you are using Windows, you need to install PuTTY first. I'll assume that you already know the basic operation of terminal. Now you've got a public IP for your VPS, but it's not easy to type or remember, so there's domain. A domain is more like the cherry on the cake if you're just doing experiment. GoDaddy is undoubtedly the most famous one in this industry, but personally I'd recommend NameSilo. Anyway, that's the simplest part of setting up a website, since pretty much all you need to do is to follow the guidance of your service provider. All the HTTP requests are sent to the 80 port of our server. To handle them, we need some software which keeps listening to the 80 port and makes subsequent operations. This kind of software is called web server. Nginx (pronounced "Engine X") is one of the most popular web servers and will be used in this tutorial. Depending on your system, you can use sudo apt-get install nginx or sudo yum install nginx to install it. Then, run sudo /etc/init.d/nginx start to get nginx running. #Referes to single threaded process. Generally set to be equal to the number of CPUs or cores. #Specifies the file where server logs. #nginx will write its master process ID(PID). # timeout during which a keep-alive client connection will stay open. # tells the server to use on-the-fly gzip compression. # on your server and then include them. #tells Nginx the hostname and the TCP port where it should listen for HTTP connections. #The location setting lets you configure how nginx responds to requests for resources within the server. The syntax of Nginx configuration file is pretty straightforward. For our primitive site, we just need to alter the service section a little. A service listens to a certain port - here is 80 - and let the matching location handle it. Nginx offered a simple Beginner's guide to introduce the usage of some basic keywords. Visit your server again, and now you should see a cute cat photo. So now you have successfully built your first website. It's just the very first step, but still, congratulations. What you've built is called a static site. That is, when someone sends a request to your server, it can only return a fixed static file, which makes it impossible to offer large amount of information. Of course you can write many html files and give each of them a url in Nginx, but things will soon be out of control with the growth of your site. So, in the following article, I'll give a full account of how to build a dynamic site, using the web framework of Flask. Note: This is the longest article I've ever written and it's my first time to try to introduce some technique in English. Please correct me if you find any mistake. If you are a professional, you may find some part of this article vague or even misleading due to my lack of experience. I'm really glad to hear your advice and suggestions. Thanks! xwscolg,Very informative useful, infect very precise and to the point. I’m a student a Business Education and surfing things on Google and found your website and found it very informative. nwowebsh,This website truly has alll of the information and facts I wanted about this subject and didn?t know who to ask. bskoajod,If you have any struggle to download KineMaster for PC just visit this site. mqybqa,Definitely believe that which you said. Your favourite justification appeared to be on the net the simplest thing to remember of. xkgwavheipn,Very informative useful, infect very precise and to the point. I’m a student a Business Education and surfing things on Google and found your website and found it very informative.